December has a bunch of big releases dropping all around the same time, and it's fair to say that Mary Poppins Returns and Aquaman may be the biggest. 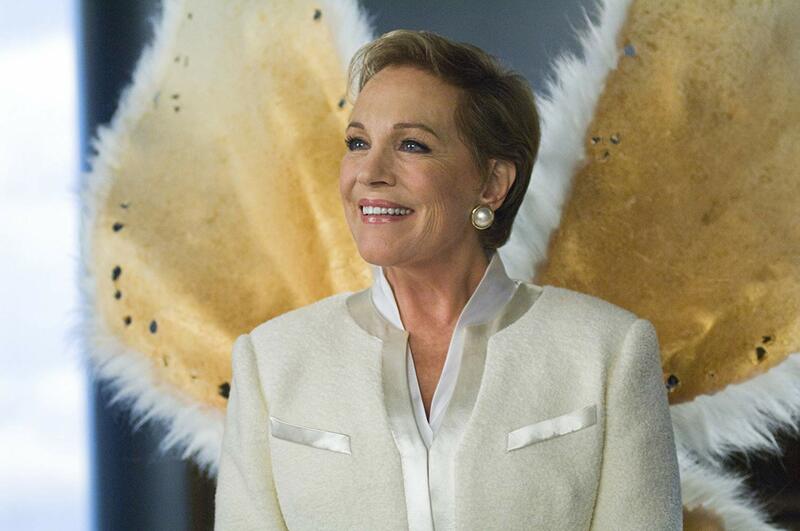 The original Mary Poppins herself, Julie Andrews, has a role in one of these two movies, but it isn't the one you might expect her to show up in. Instead, she'll be hanging out with a certain Justice Leaguer who carries a trident and talks to fish. EW has confirmed that Andrews has a role in Aquaman, lending her voice to one of the film's key characters. She'll be voicing the Karathen, a mythical creature important to Arthur Curry (Jason Momoa) and his attempts to peacefully unite Atlantis and the surface world. Andrews has stayed busy doing voice work on the Despicable Me films as Gru's mother, and as the Queen in the Shrek franchise. She hasn't actually appeared in a screen role since 2010's The Footh Fairy, which very much played off her Mary Poppins past. If you're wondering why Andrews isn't in Mary Poppins Returns, it's not because she's angry the sequel is happening. Director Rob Marshall told EW last year that Andrews graciously stepped aside so as not to take away from Emily Blunt's performance. So listen out for Andrews when Aquaman opens on December 21st. Or if you're an Amazon Prime subscriber, you can check it out a week early.